A DeMolay is honest and accepting of others from all backgrounds. He maintains health in his spirit, mind, and body by striving to improve and represent the seven primary teachings of DeMolay. To understand, appreciate, and reciprocate the love our parents give to us. To respect the religious beliefs of everyone, and to believe in a cause higher than ourselves. To value every person through acceptance, empathy, respect, and tolerance. To form true and long lasting friendships far and wide. To be true, trustworthy, and honest to yourself and your values. To be clean in thought, word, and deed. To honor your country and be a contributing citizen. To respect those who have and continue to serve our Country in every field of sacrifice and service. Through the practice of our core values, skills, and personal relationships we encourage positive behavior, good health, and achievement. 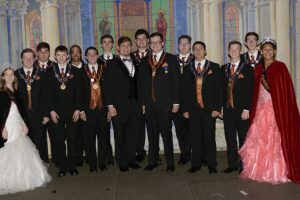 In DeMolay, our youth-led structure encourages the development of leadership skills that will lead to future success. 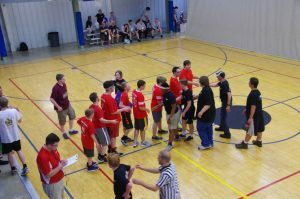 DeMolay encourages our members to identify and understand the needs of their communities. 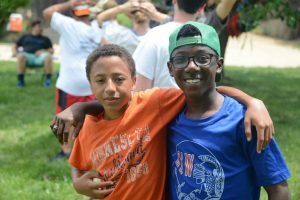 The young men will learn to develop and participate in youth-led responses to those needs such as hunger, homelessness, illness, veterans’ causes to name a few. 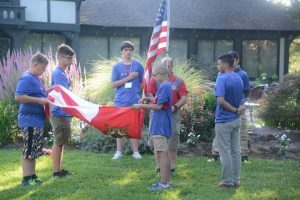 Service partner foundations include the Scottish Rite RiteCare speech and language clinics for children, the Shriners Hospitals for Children, Relay for Life, and many more worthwhile causes worldwide.